Speed that everyone wants in their life to reach their targets but if there is a question of riding fast or speeding fast on the roads then there is new bull in the category of bikes and that is BMW K 1300R. It is fast, bold and beautiful power machine naked motorcycle as BMW’s new flagship of urban bike. BMW K1300R bike is a well designed sport bike having an edgy look and giving speed going beyond the limits. This bike produces 173 hp at 9250 rpm from amazing 1293 cc inline four engine with having torque of 140 N-m. Its engine has butterfly exhaust flap to produce improved exhaust and torque note. This bike is featured with optional ESA-2 electronic suspension adjustment and apart from this it has conventional indicator switch rather than three button configuration. 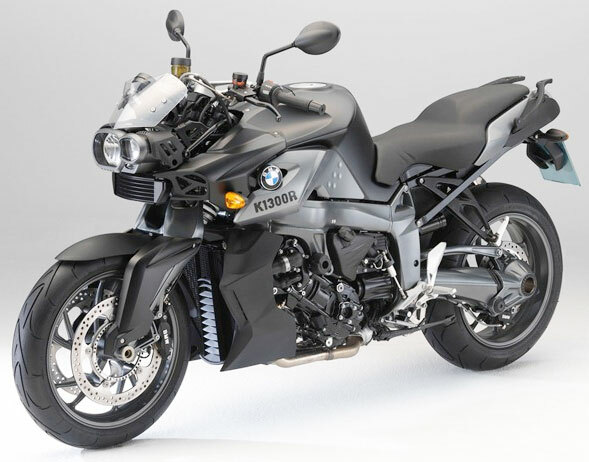 BMW K1300R is a full muscle bike with higher power output and fast acceleration. It is the fastest bike at 2.81 seconds for 0-100 km/h. Its transmission is constant mesh 6 speed gear box with shaft drive. It is with front dual disk brake and at the rear it is single disc brake. It has 19L fuel capacity enough to go on long rides and routes and 243Kg of weight. Its wheelbase is 1585 mm and front tire is 120/70 ZR 17 and the rear is 180/55 ZR 17. BMW K1300R is available in black, golden and white color having dimension around: length is 2,228 mm (87.7 in), width is 856 mm (33.7 in) (incl. mirrors) and Height around 1095 mm (43.1 in) (excl. mirrors). It has comfortable seat height standard is 820 mm (32 in) and low is 790 mm (31 in). So it is the one that everyone wants it, powerful, aggressive and a raging bull that devastates all when comes on the road with its fierce and storm speed of wind. It is a best sports bike Bmw K1300r having many technical features. And one day i will purchased this bike in any condition . It is a most fastest bike and beautiful designed bike having many technical features . I think it is a best sports bike. And one day i will purchase this bike in any condition.